Click the “Reset Password” button, the page shown below will open in a new tab. Enter your email into the field titled “Your Email Address”, this should be the same email you entered earlier. Enter your new password into the “Password” field and re-enter it into the “Confirm Password” field. Make sure your new password matches the criteria specified under where it says “Password Rules”. Once you’re done simply click the “Reset Password” button. 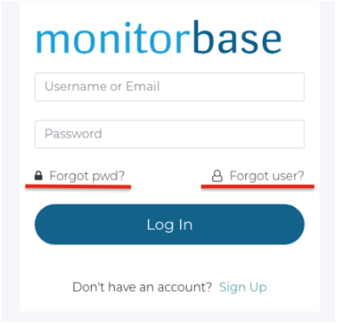 Your username will be included in bold where it says “Your MonitorBase username is “. 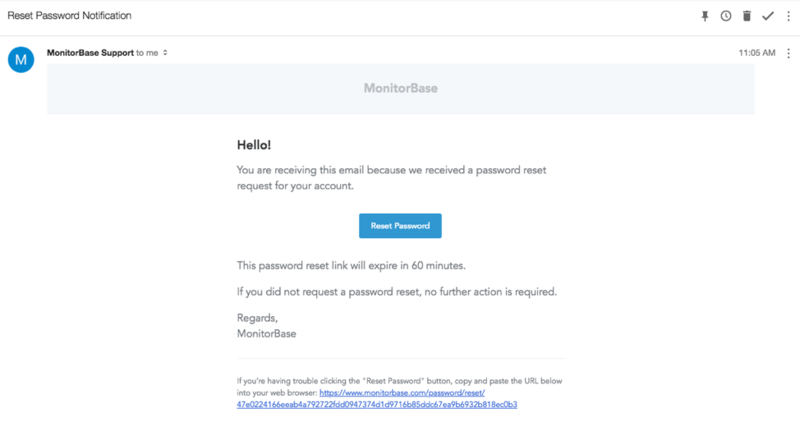 If you received an activation email earlier from MonitorBase but never activated your account, the activation email may have expired. 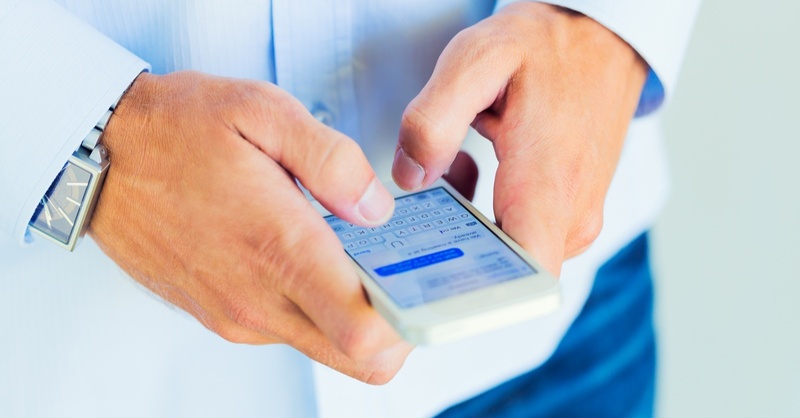 Click here to request a new activation email be sent to you. Not sure if you have an account yet? If you aren't sure if you have set up an account, talk to sales or request an account be set up.